Discover some of the advantages of choosing laser dentistry. When people think of the reasons why they don’t like the dentist, many fear the sound and the pain associated with the dental drill. If you’ve ever had a dental procedure that used a drill, perhaps it has you steering clear of your Redlands, CA dentist Dr. Brenna Hamrick-Stotts more than you should. But now, we offer a painless way to get the treatment you need without needing a dental drill. Find out more about laser dentistry and if it’s right for you. What problems can laser dentistry treat? It’s important to know that while laser dentistry can certainly handle a lot of dental issues, it isn’t right for all treatments. Laser dentistry in Redlands, CA can remove tooth decay, as well as bone or gum tissue, while leaving the areas surrounding it unaffected. Besides removing decay or disease gum tissue (to treat gum disease), it can also remove lesions for biopsies and can whiten teeth faster. 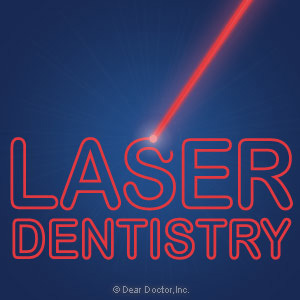 What are the pros of using a laser for your dental procedure? Laser dentistry makes it easier and more convenient for patients to get healthier smiles without having to worry about the pain, heat and pressure that you might experience with a dental drill. Want to know more about laser dentistry in Redlands, CA and how it can benefit your smile? Then it’s time you called Brenna Hamrick-Stotts, DDS, Inc. to protect your oral health for life.